•Thailand Prime Minister Prayut Chan-o-cha has ordered the police, military, and civil authorities to strictly enforce the country’s laws that ban those under 20-years-old from entering entertainment venues. 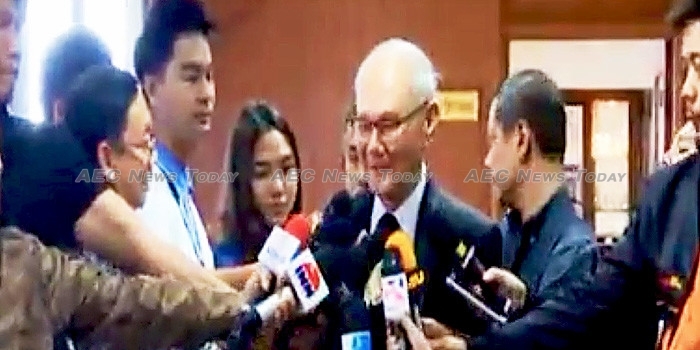 According to Thailand government spokesperson, Lieutenant General Sansern Kaewkamnerd, authorities have been ordered to ensure strict compliance with underage drinking laws, operating hours, and regulatory compliance. • Thailand Constitution Drafting Committee (CDC) chairman Meechai Ruchupan, said the Thailand Electoral Commission (EC) is required by the 2017 Thailand Constitution to hold the Thailand general election within 150 days of the four organic election laws being approved by the National Legislative Assembly (NLA). • Deputy Prime Minister, Air Chief Marshal Dr. Prajin Juntong, has chaired the annual meeting of Rajabhat University students Federations from the central regions, imploring on them to be good role models for future generations. • Education institutions have been instructed to instil an understanding of ethics, honesty, and integrity in Thai children. Speaking at a ‘Thai Education Towards 4.0 Era’ seminar in Pathum Thani Province, Deputy Education Minister Panadda Diskul said teachers play a major role in students’ future, with schools serving as second homes where children spend most of their time away from their parents. Instilling these values will purify their minds and protect society against evil, he said. • The Royal Irrigation Department (RID) has said that provided crop producers in the Chao Phraya basin follow government instructions to withhold farming activities until May, Bangkok will not face water shortages this year. The statement came against the release of the latest figures showing water levels in the Chao Phraya Dam as of April 22 ranged between 5.65m and 15.9m (18.54ft and 52.16ft). • The Bangkok Metropolitain Administration (BMA) is to construct flood protection dykes for 350 houses affected by the BMAs anti-flood dyke construction along the Lad Phrao Canal in Bang Khen district. Bangkok Deputy Governor, Chakkaphan Phiewngam, said the owners of 336 households were concerned about their new houses purchased in a government housing project and promised to implement the construction project as soon as possible. Construction is expected to be completed in 2019. • The Director of the Hydro and Agro Informatics Institute, Royol Chitradon, has urged the government to consider introducing terraced rice cultivation in the central region to better conserve water. Mr Chitradon said terraced cultivation was particularly suitable for areas surrounding Ayutthaya and Suphan Buri provinces. He also said that water should be stored on farmer’s land, downplaying the importance of dam construction. • The Office of the National Broadcasting and Telecommunications Commission (NBTC) has organised a training session for mobile app developers wishing to enter a contest it is hosting to encourage the development of more mobile apps for people with hearing and visual disabilities. Applications will be accepted until May 6, with the results announced on June 13. The winner will receive Bt300,000 ($8,736) prize money. According to the NBTC there are currently more than 100,000 visually and hearing impaired Thais using mobile apps. • The Government Housing Bank (GHB) has put more than 2,300 foreclosed properties up for auction, providing discounts of up to 50 per cent and 0 per cent interest payments for up to 24 months. Among the houses, apartments, town houses, condos, and land plots put up for sale, 630 were in/ or surrounding Bangkok. The lowest asking price for a plot of land is Bt40,000 ($1,164), while the lowest priced apartment is Bt63,000 ($1,834). A 20 per cent down payment is required. The auction is expected to raise Bt3 billion ($87.362 million). • NBT takes a look at Hua Hin’s plans to turn the city into a pollution free, environmentally friendly location for travellers. As part of this aim the city has installed an extensive network of bicycle lanes to encourage bicycle riding. In addition a three-metre (9.84ft) wide, ten kilometre long (6.2mile) bicycle track has been build seperate from the main road by the Department of Highways (DoH), while the Royal Thai Army (RTA) is in the process of building additional bicycle tracks. • Deputy government spokesperson, Lieutenant General Werachon Sukondhapatipak, said Prime Minister Prayut Chan-o-cha was leading a high-level delegation to Bahrain until May 26 at the invitation of Bahrain Prime Minister, Prince Khalifa bin Salman Al Khalifa, to discuss increased trade cooperation between the two kingdom’s. The visit will see three agreements related to agriculture, the avoidance of double taxation and the prevention of fiscal evasion, and education signed. • Immigration Bureau police chief, Lieutenant General Nathathorn Prousoonthorn, has told a meeting on immigration in Chiang Rai to increase their monitoring of foreign tourists, particularly those from China. He also outlined plans by the Immigration Bureau to introduce modern technologies to its surveillance of tourists.